Trust me, you are going to want to eat these muffins morning, noon, and night, whether you like avocado or not. 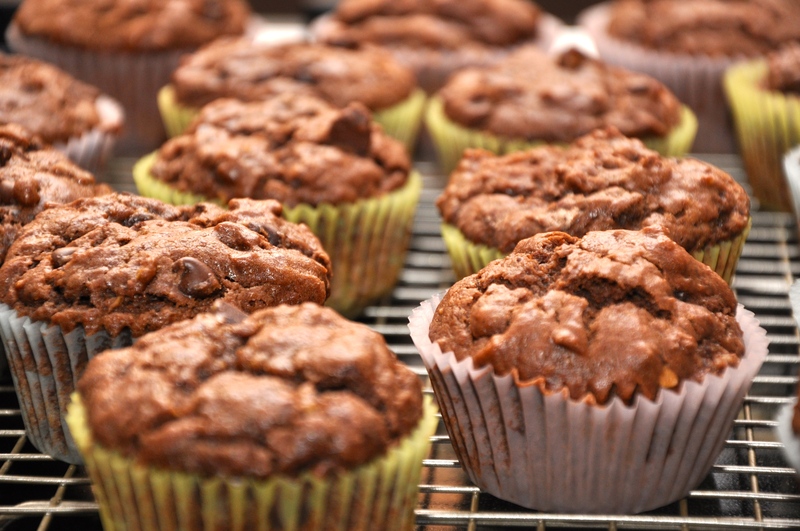 If the rich, deep chocolate flavor is not reason alone, the healthful properties of these muffins add more fuel to a daily diet of avocado in a chocolate muffin. 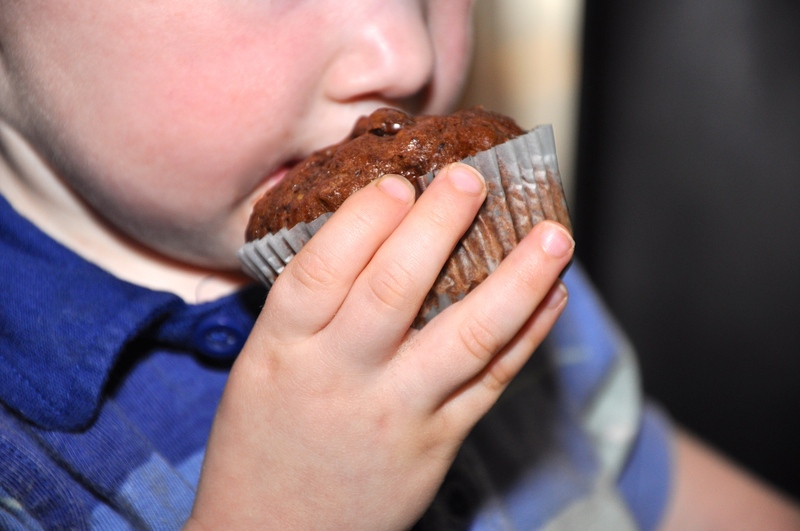 These muffins are unbelievably rich; your kids will detect no hint of green. -Both chocolate and avocado are full of antioxidants. In fact, avocados are among the most antioxidant-rich foods. -Fat is an important part of a healthy diet, especially for children. The healthy fat of the avocado helps lower cholesterol. -Avocados are an excellent source of fiber and folic acid. They contain several kinds of carotenoids, including lutein, which is essential for eye health. -Aside from being irresistibly delicious, chocolate contains serotonin, which stimulates endorphin production, which gives a feeling of pleasure. Sink your teeth into these muffins! 2. In a mixing bowl, mix avocado and sugar together until smooth. Add eggs, butter, vanilla, and milk. 3. In a separate bowl, combine flour, cocoa powder, baking powder, and salt. 4. Add wet ingredients to flour mixture, mixing just until moistened. 5. Fold in optional ingredients (raspberries or chocolate chips or both). 7. Bake for 20 minutes or until toothpick inserted into the center of a muffin comes out clean.